The Instrumentation Amplifier monitors voltages from a few millivolts (DC or AC). It has several switch settings to allow you to select the best gain. It can be used with any of our computer lab interfaces, as well as with the CBL or CBL 2. Typical uses would include amplifying the chart recorder output of any instrument (such as a Gas Chromatograph) so that its signal can be used with our lab interface or building a current sensor by measuring the voltage drop across a resistor. 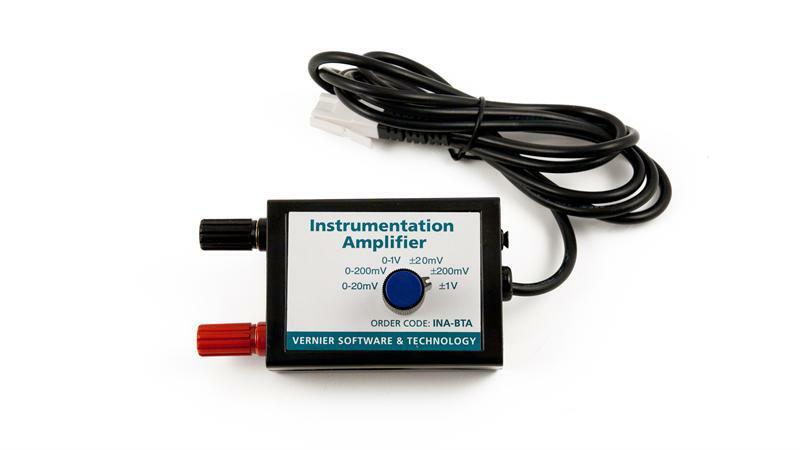 The Instrumentation Amplifier requires a compatible interface and software to collect data. Interface and software sold separately.